Even if you’re not yet a senior, you most definitely know someone who is a senior. This could be a family member or friend. It’s important to remember that reaching the senior years can be a challenge, especially with the aspect of their sense of purpose. 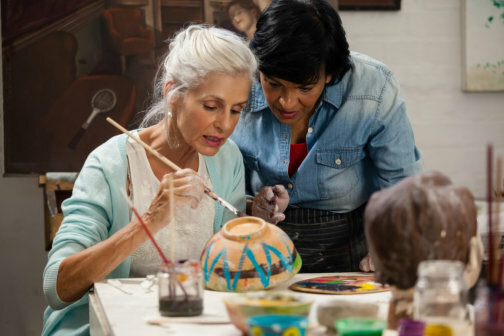 As their loved one, you can do something to help reaffirm to them that even at their age, life can still be beautiful, productive, and meaningful. In the many years that we have provided In home care services in Oakland Counties, Michigan, we have seen how seniors have been uplifted with certain senior-friendly activities. Their mental well-being is refreshed because they know that there’s still something they can do even in their elderly season. As a volunteer, seniors can afford the time and availability. It’s important that you recommend them to charitable organizations or volunteer-based activities that are close to their hearts. When they know they’re doing something for the good of the many, they can find their place and worth in this world. Don’t worry. Our team of care providers can also keep them company in these events, as we also provide quality in home care assistance in Southeast Michigan. Very similar with volunteering but with a more personal touch, your aging loved one can also be uplifted with having to do something for someone who has been very helpful to them. You can ask them to cook for a family member or their doctor or whoever it is they want to say thanks to. There’s always joy in giving back to others, and this a kind of joy that will be very uplifting and rewarding for your senior loved one. What’s very interesting about a hobby is that your loved one can do this with others who are also enthusiastic about the activity. Ask them what activity they really enjoy doing. Whether it’s gardening, book discussions, or creating crafts, when they’re having fun with the activity, they’ll have something to look forward to. That is going to be an exciting element in their aging years. It doesn’t matter if it’s going to be your loved one’s first time to take care of a dog, cat, bird, or whatever pet they want to care for. The presence of a pet can be stress-relieving, while also affirming of their sense of worth as fur parents. They know that their pets need them, and this is a very life-giving realization. The aging season may have its dark days, but there are also the brighter days. With the assistance of our team providing personal care services in Southeast Michigan, your loved one can have the option to live their aging years as meaningfully as possible, especially with the above-recommended activities. If you’d like to know more about our services, contact us at Heaven Sent Home Support Services. This entry was posted in Home Care and tagged Fun Activities, Senior Care, Volunteers. Bookmark the permalink.